One hundred albums. It might sound like a lot, but in putting together my book 100 Essential New Zealand Albums, there was still a surprising number of gems I had to leave out. In particular, some standouts from the late sixties and early seventies were reluctantly omitted to ensure a fair representation across the decades. Since the book’s publication in 2009, there have been further releases that, if I were writing the book now, I would have to find some way of including. Here then, imagining I have that extra space, are 10 more essential New Zealand albums: numbers 101-110. In the mid-60s, there weren’t a lot of tricks that could make a band sound good if they weren’t. But if the group was exciting on stage, there were a handful of studio engineers, such as HMV’s Frank Douglas, who knew how to transfer that excitement to disc. The Librettos’ only album is Exhibit A. Cut in late 1964, as the British beat boom was getting into gear, it compares favourably with any international, long-haired R&B band of the day. The Librettos started in the early 60s, styling themselves on the all-instrumental Shadows, playing around the youth clubs of Wellington. But when the Beatles and Stones arrived they were quick to jump aboard the new fashion for high-energy, vocal-driven bands. 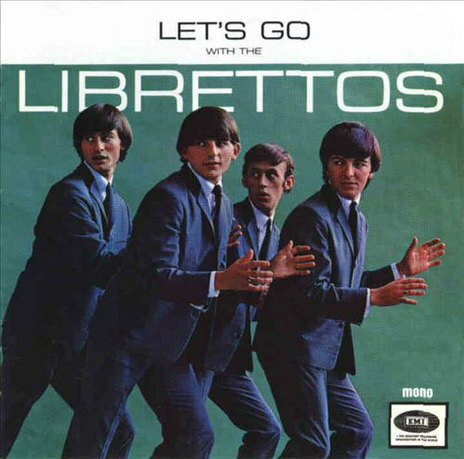 The title Let’s Go With The Librettos played on the group’s national fame, as the resident band on Let’s Go, the first New Zealand pop show on national television. The 13-song set crosses the blues leanings of the Stones with the more eclectic palette of the early Beatles. A cover of Marvin Gaye’s ‘Pride And Joy’ comes from the same pool of Motown classics The Beatles drew from, while the original ‘Crying For You’ has melodic traces of an early Beatles ballad. Little Walter’s ‘My Babe’ and Billie Holiday’s ‘Fine and Mellow’ get a Stonesy, guitar-heavy treatment. But it’s ‘I’m A Dog’ – one of six songs from the band’s songwriting team of guitarist Rod Stone and bassist Brian Peacock – that is the highlight: a snapping, snarling R&B tune that holds its own as a garage-rock classic. The Rebels also left this excellent album. Though bass player Viv McCarthy recalls it being “done in a bloody rush”, it shows what a seasoned band could pull together at a pinch. Most of the songs are covers, to which the Rebels give their own inspired spin. The Bee Gees’ ballad ‘To Love Somebody’ is slowed to a stately fugue, while a pair of Beatles tunes are refreshed with soul-inspired arrangements. ‘Good Day Sunshine’ is sultry and funky, with punchy horns. ‘Ticket To Ride’ starts out as a Booker T-type groove and accelerates to a hard-driving tempo, reminiscent of Otis Redding. The Rebels are tight and driving, but their secret weapon is Morris’s replacement, Glyn Mason – a Wellington-bred singer with a mighty rhythm and blues voice, like Steve Winwood crossed with Wilson Pickett, who went on to have a long musical career in Australia. On the strength of this record, he’s one of our greatest losses. In 2009, when I was putting together my original list of essential New Zealand albums, there were only three legitimate copies of this album in existence: the original acetates, cut in London’s Deram studios in 1969 at the time of the recordings. Even so, its significance loomed large. More than half the songs had been covered by The Human Instinct, two on their landmark album Stoned Guitar. Though it was four decades since their author had last performed in New Zealand, musicians still spoke of Doug Jerebine in reverential tones. A professional musician since his teens, Jerebine had spent the early 60s backing local pop stars like The Chicks and Dinah Lee, both in studio and on the road, playing the jazz he loved whenever he got the chance. 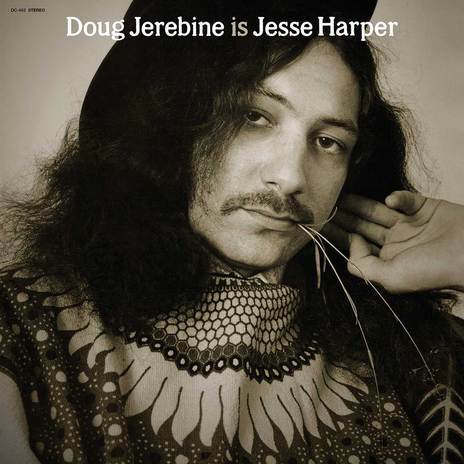 But the arrival of the first Hendrix records and the discovery of Indian music set the guitarist in the sonic and spiritual direction of this album, which he cut as demos under the name Jesse Harper. There are hints of Hendrix in heavy, riff-based songs like ‘Midnight Sun’ and ‘Ain’t So Hard To Do’ and in the spangly psychedelia of ‘Ashes And Matches’ and ‘Other Side Of Time’. Eastern modes infuse the snake charmer pop of ‘Keep Cool’ and ‘Circles’, while ‘Hole In My Hand’ introduces an undercurrent of funk. Through it all, Jerebine gives voice to the spiritual yearnings that would soon lead him to give up his musical career and head for India where he remained for many years. In 2012 this psychedelic relic finally saw its official release. After cutting their musical teeth in various sixties pop bands, guitarist Eddie Hansen, drummer Rick Ball, bass player Paul Woolright and singer Trevor Tombleson were ready to spread their musical wings. The popularity of Cream and Hendrix and the rise of the rock virtuoso provided the opportunity. Ticket worked up their own expansive riff-propelled songs, and honed them in long late-night sets at Christchurch nightclub Aubrey’s, where their audience was largely comprised of US servicemen, in town for rest and (often drug-fuelled) recreation. 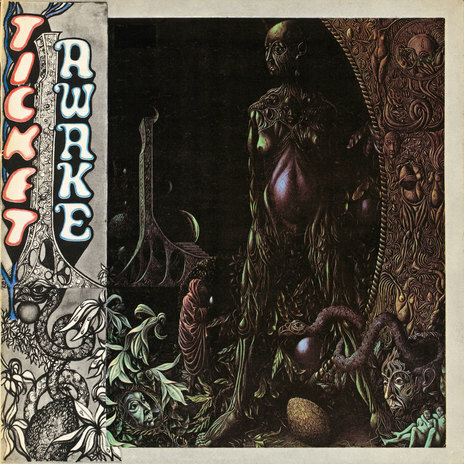 Compressing a typical Ticket set into an economical 40 minutes, Awake was recorded quickly at Wellington’s HMV studios, Frank Douglas at the controls. The rhythm section of Woolright and Ball are fiercely tight, and provide an unshakeable platform for Tombleson’s dramatic wailing and Hansen’s Hendrix-inspired solos. Born in Samoa and brought up in Wellington, Kas Futialo was rapping early enough to beat Upper Hutt Posse in a mid-80s battle-of-the-mics. 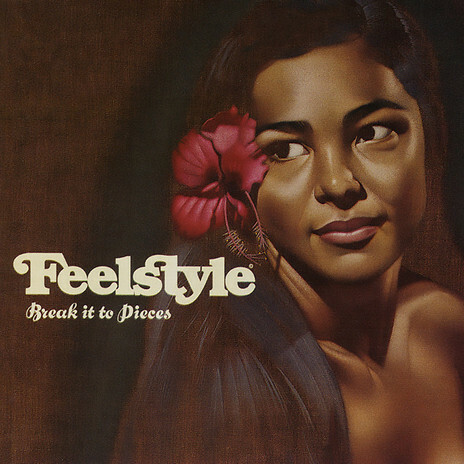 But it wasn’t until 2005 that the seasoned MC, now calling himself Tha Feelstyle, made this definitive debut. Inside the CD booklet is a photo that shows him in a pinstripe suit and shades, a golden chain of Crunchie bars around his neck – proof that he never had any illusions he was some gangsta from Compton or the Bronx. Tha Feelstyle raps what he knows: the uncle in ‘Enlightenment Piece’ who can’t handle his alcohol, the migrant son returning to a world both strange and familiar in ‘Going Home’, and the sombre story of a suicide (all in Samoan) in ‘Evotia’. Crucial to the whole thing is producer Andy Morton – aka Submariner – whose beats are the foundation on which the rhymes are built. Though often leaning towards vintage reggae and soul, these are most striking when they draw on the sounds of Samoa. A traditional melody and strummed set of chords drives the irresistible opener, ‘Su’ga Ea!’, and there are similar reminders throughout that this album could only have come from the heart of the Pacific. In one song a hapless drug mule sings from a cell as he awaits his execution. In another, a couple are convinced they have got away with murder and robbery, but don’t realise the train they are on is heading for the famous Tangiwai disaster. In fact, there are few songs on this album that don’t involve, if not someone’s imminent demise then at least some looming misfortune. As members of the eclectic Six Volts, David Donaldson and Steve Roche provided much of the instrumental colour behind Don McGlashan and Harry Sinclair on Songs From The Front Lawn. Here they borrow from McGlashan’s narrative style to weave dark folk tales of their own. Their colourful instrumentation can suggest Appalachian mountain music one minute, juke-joint blues the next, yet the tales – like the voices that deliver them – are as Kiwi as a Ronald Hugh Morrieson novel, and just as bleakly humorous. I have a recurring dream in which I’m in a milk bar, just like the ones I remember from my 60s childhood. In the corner is a jukebox. Like the surrounding décor, the song selection has been frozen in time. Every tune is some wonderful lost B-side by a girl group I once loved and have just been reminded of. This album could be that jukebox. 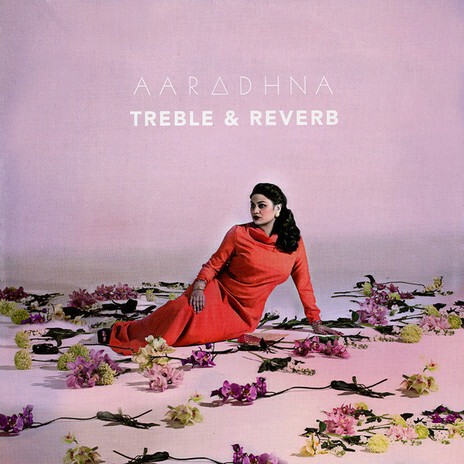 Samoan-Indian songbird Aaradhna Patel had already made two contemporary R&B albums for South Auckland hip-hop label Dawn Raid: one of originals, one of soul standards by the likes of The Delfonics and The Jackson 5, done up in a slick, post-hip-hop style. But it was connecting with producers Pete Wadams (better known as P-Money) and Evan Short (formerly of electronica duo Concord Dawn) that made her queen of the dream jukebox. There are songs here to match your mood, whether that is reflective and romantic (waltz-time reveries like ‘Can We Go Back’, ‘Fire Burning Love’) or funky and fiery (‘Bob’s Your Uncle’, ‘Great Man’). ‘Wake Up’ has an early Motown rhythm, with handclaps as big as thunderbolts, and an addictive chorus that might be Mary Wells in her sixties pop prime. And there’s the irresistible ‘Lorena Bobbit’ (sic), a cheerfully threatening ode to the woman famous for taking a knife to her husband’s manhood. 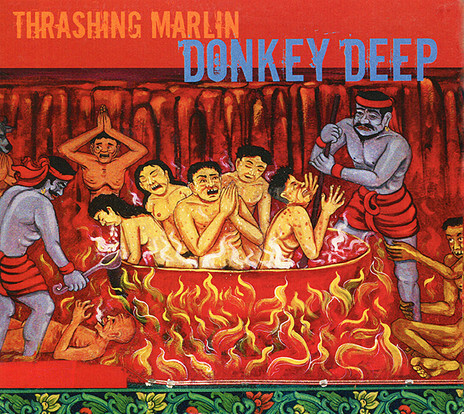 The whole thing is as crackling and immediate as a piece of vintage vinyl. 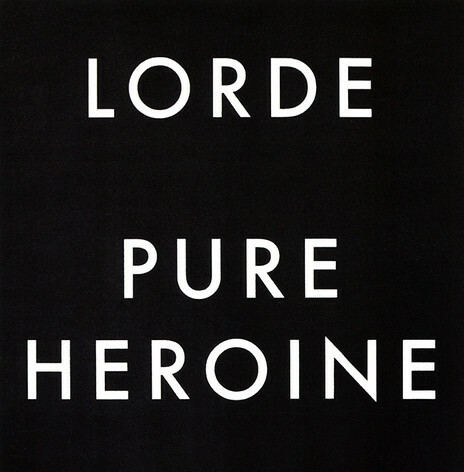 Would Lorde’s Pure Heroine have made this list if it hadn’t been by far the biggest selling record ever made in New Zealand, turning its 17-year-old author into what the late David Bowie ordained ‘the future of music?’ Absolutely. With producer Joel Little, Ella Yelich-O’Connor created a debut album full of indelible melodies and fresh, astute lyric writing that would have been a powerful package whether or not it was ever heard outside New Zealand. As it turned out, this was pop that the whole world responded to. That it stood in contrast to the maximalist productions that dominated 2013 may have contributed to its huge success. The spaces and silences seemed to add as much as the melodies. And at a time pop was bombarding youth with highly stylised and sexualised imagery – Miley Cyrus swinging naked from a wrecking ball, Lana Del Rey beholden to a string of bad boys straight from Central Casting – Lorde offered a refreshingly un-Photoshopped alternative. As she says in the song, “white teeth teens are out.” Lorde’s characters bite their nails. They drink and throw up and get into fights and sometimes even wind up in bed together. They are bored and restless, reckless and terrified, but they also experience wonder, laughter and ambition and all of it just seems to make them stronger. You might say the zeitgeist was just waiting for Lorde to capture it. 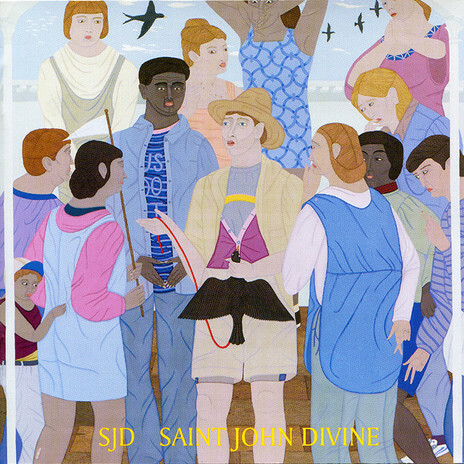 Who is Saint John Divine? He might be the character in this album’s arresting cover image: a detail of a painting by Dunedin artist Kushana Bush, showing a bearded, hatted figure holding the attention of a group of men, women and children while he holds the intestines of a bird he clutches by the neck. Sean James Donnelly, who shares his initials with this mystical figure, has spoken of a “spirit guide” he imagines walking through the songs on his seventh album. As Donnelly gives voice to this character’s uneasy visions in one gorgeous song after another, the two SJD’s become inseparable. Donnelly has been releasing albums under the SJD moniker since the late 90s and has built a catalogue spangled with musical jewels. These range across electronica, blue-eyed soul and acoustic introspection. But Saint John Divine, brings all the elements together. These are big songs: ‘Little Pieces’, sung in glorious duet with Julia Deans, has a chorus that soars, even as it gives voice to crippling uncertainties. ‘I Wanna Be Foolish’ bursts with glam-rock swagger. ‘Helensville’ turns the Prime Minister’s electorate into a place of dreamy melancholy. A capable multi-instrumentalist, Donnelly has been a sideman to some of this country’s best-known performers, including Neil Finn, Don McGlashan and Julia Deans, and the role seems to suit his naturally laidback demeanour. But Saint John Divine proves that he belongs in such company as an artist in his own right. Teenage angst – all those existential questions and internal conversations that inevitably centre on the self – has rarely been evoked more convincingly. While still at school, Eddie Johnston began posting home recordings on Soundcloud, which included his reinventions of hits by the likes of Drake, Pharell, Beyonce, and Swedish rapper Yung Lean. International ears were soon taking notice. In the original music Johnston makes as Lontalius, a number of once-firm divisions collapse. There’s the division between commercial and art pop. Johnston evokes both Coldplay and Radiohead, delivering pop hooks and experimental music-scapes in the same song. Even more significant is the way he seems to have broken down the division between the strummy, introspective, bedsit songwriter, and the beats-driven – and traditionally macho – world of hip-hop. Lontalius merges the two, right down to using the hip-hop device of Auto-Tune, to strike a mood that can remind you simultaneously of Drake and Nick Drake. 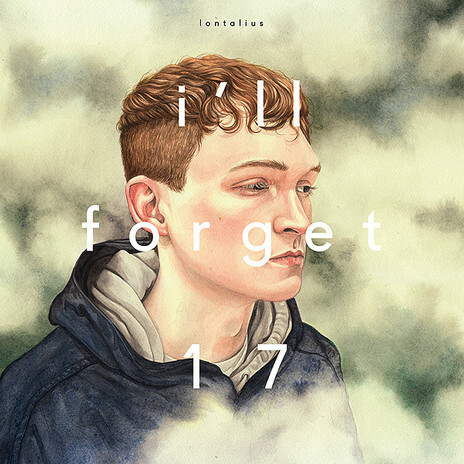 The album’s title, I’ll Forget 17, is ironic, as it banishes these ballads of heartache and angst to oblivion, while wrapping them in a package in which they will be preserved forever.